This set is probably between 60 and 77 years old . 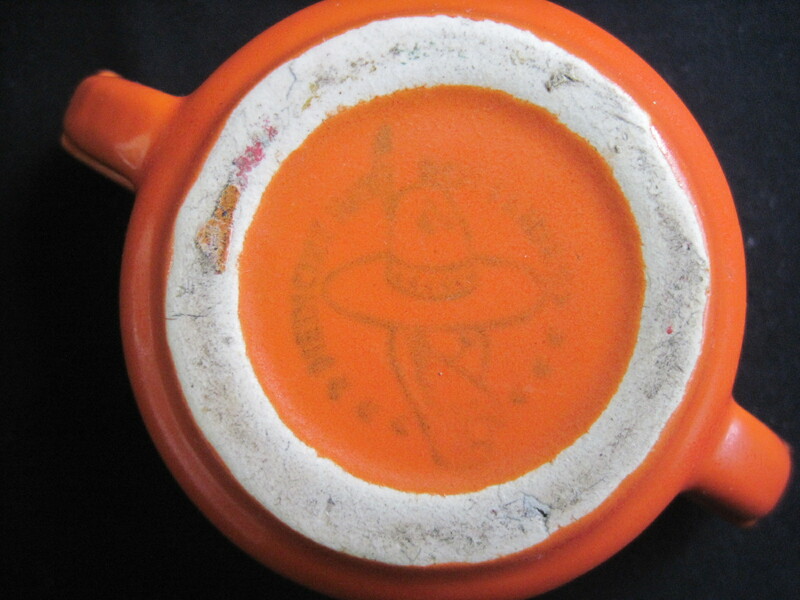 It’s hard to pinpoint a date from the backstamp (of an Indian crouched under a large sombrero) because the company used the same one for its lifetime. 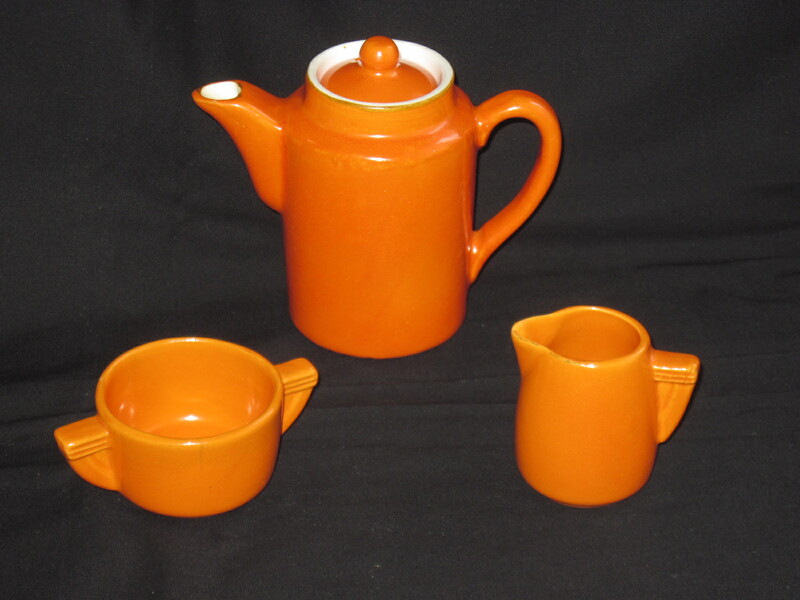 The company was in operation from 1938 to 1955 after which it was sold to Marwell Construction of Vancouver who manufactured and marketed products under the name of Hycroft. The teapot and creamer are in perfect condition but the sugar bowl has a hairline crack in it. The crack is small and hard to find at first glance. All three pieces have the Medicine Hat Potteries backstamp. This set is priced at $75 due to its rarity.